Make all the bad decisions you want, just not in a vehicle. 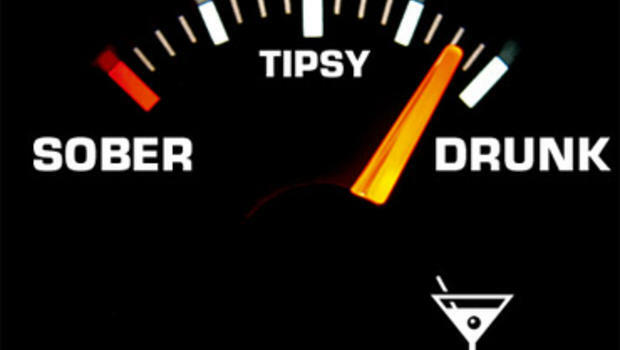 According to Ars Technica, two new technologies are being developed to help curtail the tragic nature of drunk driving. Although in America, such fatalities went down 25% between 2004 and 2014, 31% of all road deaths in 2013 were due to being loaded on the road. Due to this, the National Highway Traffic Safety Administration (NHTSA) has been working on a new initiative, the Driver Alcohol Detection System for Safety (DADSS) program. Using sensory input in the form of touch or smell, the DADSS prototypes detect alcohol in your system, and subsequently refuse to start your car. It's just like being punished by your real dad (well, as long as he's not drunk too.) One type of sensor, placed in the car's door or steering wheel, would "smell" your breath like a Breathalyzer to make a quantification of your inebriation. DADSS is only strict because it cares about you. Another type of sensor could be placed in the gear shift or on the ignition button, and would be able to determine your BAC (blood-alcohol content) via touch. In America, anything over .08% would mean you're grounded from driving a DADSS car. That's right, don't try to sneak past DADSS, he knows what you've been up to without you breathing a word. While the NHTSA isn't looking to make this technology mandatory in all vehicles, it could be a tremendous aid to commercial fleets, government vehicles, or on cars that are being specifically used by younger and more reckless drivers. They anticipate the technology could roll out in the next five years. Of course, that's if the robot chauffeurs haven't got us all sipping martinis in the back seat before then. Definitely good to have for government vehicles. You can't drive a tank while tanked.